Data for this file are taken from two surveys carried out in the spring of 2013 and 2015 by the Centre for Study and Research in Training and Education Policy (Céreq) on the 708,000 young people who left the French educational system in 2010 for a survey called 'Generation 2010'. These Céreq surveys on the occupational integration of young people into working life are carried out at regular three-yearly intervals. They provide the opportunity to interview a new cohort of young people leaving the educational system about their professional path during their first three years in the labour market. Some cohorts are re-interviewed after 5 years, to gain further information on their early careers. 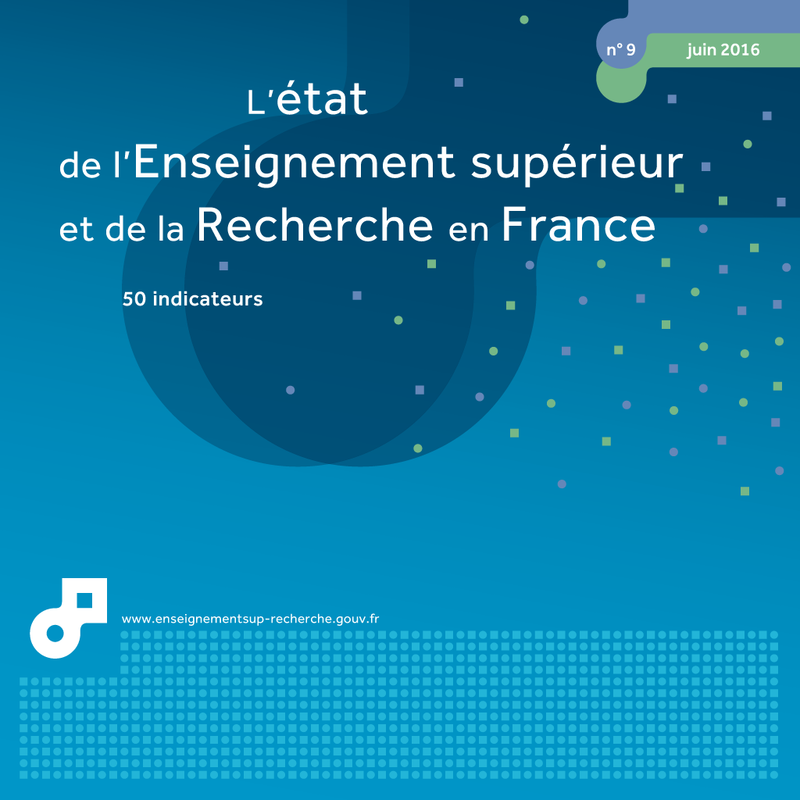 The scope of these surveys covers all young people leaving the education system for the first time in 2010, aged under 35, of French or foreign nationality, enrolled at an educational institution during the academic year 2009-10 in mainland France or in the Overseas Departments and Territories, and residing in France at the time of the surveys. Young people who have interrupted their studies for more than one year (except for health reasons) are excluded from the scope, as are young people who have resumed their studies the year after entering the labour market. Over 1,900 PhD graduates meeting the 'Cereq' scope (see above) were surveyed as part of the 'Generation 2010, survey of 2010 leavers in 2013' programme. The second survey in spring 2015 covered over 1,400 PhD graduates. This was the first time that a re-survey had extended the sampling to doctoral level. In 2015, the unemployment rate for 2010 PhD graduates was close to 7%, compared to 9% two years previously. Despite this improvement, the situation for PhD graduates, in particular for Doctors of Life and Earth Sciences or, to a lesser extent, Arts and Human Sciences, is not as good as for graduates in other disciplines. PhD students graduating in 2010 entered working life in a difficult long-term economic climate. Despite these difficulties, the unemployment rate among PhD graduates fell by 2 points between 2013 and 2015 (table 40.01). This improvement was however less than for the whole of the Generation (-6 points) or even for students leaving higher education as a whole (-4 points). In 2013, the average unemployment rate among PhD graduates was lower than for Master's graduates. In 2015, Master's graduates made up some ground, at least on average. The differences between disciplines are however significant. Bettween the first and second surveys, the unemployment rate among PhD graduates in Mathematics, Physics and Chemistry fell spectacularly. However, for PhD graduates Earth and Life Sciences or Arts and Humanities, the 5-year unemployment rate was 9% or more, the average level in 2013. It even increased by one point between the 2 surveys for Earth and Life Sciences graduates. During the first 5 years of working life, following their initial education, PhD graduates spent on average nearly 90% of their time in employment and 10% unemployed (chart 40.02). Furthermore, 15% experienced a long period of unemployment (12 months or more). PhD graduates in Engineering and Computer Sciences and Law, Economics and Management spent the least amount of time unemployed. By contrast, Earth and Life Sciences graduates spent 14% of their time unemployed between 2010 and 2015. Between these two periods, 20% of Earth and Life Sciences graduates experienced at least one period of long-term unemployment (12 months or more), as did Arts and Humanities graduates, i.e. 5 points more than PhD graduates taken as a whole. The different research into the professional future of PhD graduates highlights their difficulty in obtaining stable employment, in particular due to the existence and sequential nature of post-doctoral experience, such as short-term contracts in public research. The general trend for all PhD graduates is marked by a fall in the short-term contract rate over the whole period (chart 40.03). Thus, between January 2011 and July 2013, the short-term contract rate among young people in employment fell from 58% to 30%, settling at 21% at the time of the survey in 2015. Although Earth and Life Sciences graduates also experienced a fall in short-term contracts, this proportion was significantly higher for the whole of the period in question. These graduates spent 47% of their time on short-term contracts and only 35% on open-ended contracts. With regard to this integration criterion, as for the other indicators, the professional situation of Earth and Life Sciences doctoral graduates is much less favourable than that of other PhD graduates. At the end of the period, 30% of Earth and Life Sciences doctoral graduates had a short-term contract, compared to only 11% of Engineering and Computer Sciences doctoral graduates. 7% of PhD graduates in employment in 2015 were working part-time. This proportion was higher for graduates of the LSH and Law, Economics and Management disciplines, where the proportion of women isi greater, respectively 67% and 61% compared to 48% for all PhD graduates. Nearly one-quarter of PhD graduates consider that they are employed below their skills level. This level of dissatisfaction with employment increased slightly between the two surveys ( +2 points), but in 2015 it was slightly less than all graduates leaving higher education or Master's graduates. By contrast, it was considerably greater than the figures for engineering school graduates. As proof of this dissatisfaction, in 2015, 23% of PhD graduates said they were looking for another job. This proportion was particularly high among Earth and Life Sciences or Arts and Humanities doctoral graduates (30% and 29%). Extract from the chapter "40. occupational integration for 2010 PhD graduates, 5 years after being awarded their degree". 1 Uninterrupted period of 12 months or more. 2 Short-term employment contract, excluding self-employed. 1 Short-term employment contracts, excluding self-employed. 2 Permanent employment contracts and civil servants.